Through all endeavors, Martha proved herself to be a consummate plantation mistress. She was a superb domestic manager who made running a large plantation household seem almost effortless. Martha came to her new home along with twelve household enslaved people from the Custis estate. These slaves included two men who acted as table servants; a man and a woman who looked after the children; two female cooks; two female washerwomen; a female spinner and a female seamstress; and two women who served as maids for Martha and her daughter. The enslaved people and other white servants actually performed what Martha once called the “Drudgery duties” 1 around the household; that is, the actual physical labor necessary to keep the enterprise running. Martha prided herself on her culinary expertise. Although Martha was responsible for creating the day’s menu, enslaved cooks actually prepared the various meats, puddings, pickles, cakes, and pastries served at meals. Martha used a handwritten collection of recipes she had inherited from the Custis family. She also consulted cookbooks available at the time, including Hannah Glasse’s Art of Cookery. Given that the vast majority of enslaved people could not read, it is likely that Martha read her recipes aloud to them. Martha’s favorite household task was needlework. Fine needlework was regarded as a sign of feminine accomplishment and gentility. Mount Vernon’s female slaves performed the more mundane tasks, such as spinning thread and weaving cloth. They also made the coarse clothing worn by the enslaved people who worked in the fields. Martha spent some time almost every day engaged in fine needlework. Her sewing, mending, knitting, and embroidering involved a high level of attention to detail and high-level of expertise. 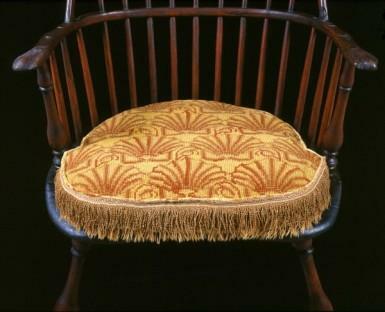 Many objects at Mount Vernon, ranging from button bags to chair cushions to footstools, reflect her handiwork. 1. Martha Washington to Mrs. Elizabeth Powel, May 20, 1797 in ‘Worthy Partner”: The Papers of Martha Washington, ed. Joseph E. Fields (Westport, Ct.: Greenwood Press, 1994), 302. 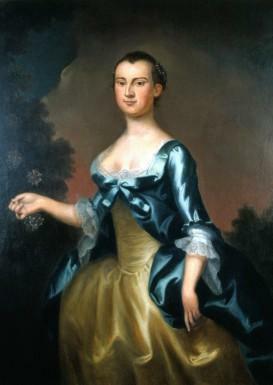 A staff of enslaved butlers, housemaids, waiters, and cooks helped Martha Washington every day.